© Antonio Busqueta. All rights reserved. Tepito is a neighborhood in Mexico City, it is well known for being rough and dangerous. People from this place worship and pray to saint death. 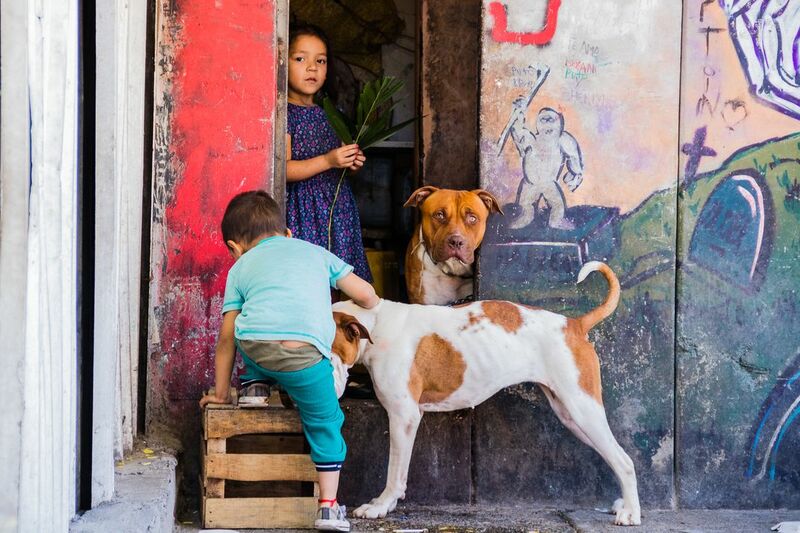 The kids of the photo are protected by their dogs and work right next to where the main figure of death is displayed, they prepare the flowers and leaves that decorate saint death altar. Date Uploaded: Nov. 28, 2018, 11:48 p.m.